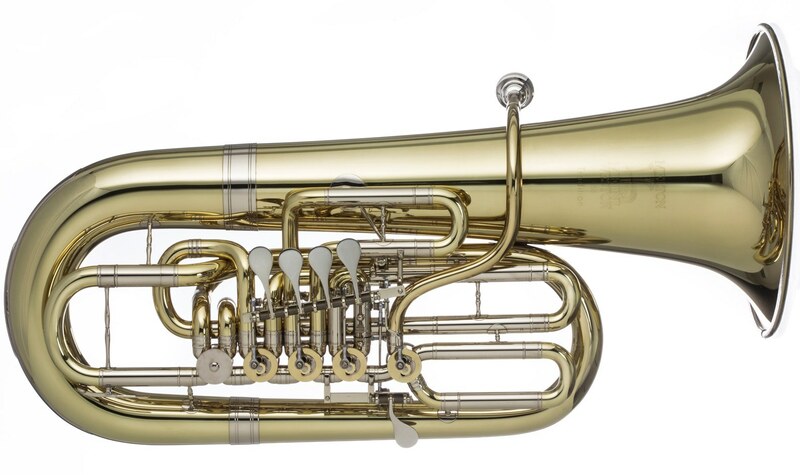 The new Melton Meinl Weston F-Tuba 4250 “Tradition” (available with 5 or 6 rotary valves) is an elegant orchestral instrument. Its lightweight and elaborate construction with bows handmade from sheet metal allows for a special brilliance in the high register and a sonorous depth with an extremely easy response in the medium and high registers. The clear separation of individual notes is absolutely unique: musicians can impress with a clear and articulate sound even in fast and difficult passages.